What does this article talk about ? This article talks about the connection of nakshatra and Numerology or Anka Jyotish. This article sues it connect the nakshatra and also the numbers or numerology with Rahul Gandhi personality and also life events/ elections of 2019. The connection of nakshatra and Numerology and India? and gave it the present shape along with the Chaldean numerology. The numerical yantras still used In India- image are a living proof of practical applications of numbers and numerology. There is a sound to each nakshatra, so if say you are born in a particular nakshatra; it makes more sense to have the name starting with the particular nakshatra sounds (Refer table below). Say for example in the Kundli below the person is born in Mula nakshatra, so it makes more sense for his or her parents to have a name starting matching with mula: Ye , Yo, Bha , Be. Vedic astrology- as your name would have the key to your moon nakshatra. b) Say you are an artist (creative- right brain), but you are kept with people who are more oriented towards mathematics(left brain), what would happen? Soon you may get bored or there is a mismatch in the group.It is a simple management principle – what we call ALIGNMENT. So Vedic astrology provides us with tools of alignment at a much subtle level of energy. in life is much higher. So by doing this simple matching, you have naturally had more chances to succeed apart from your hard work. 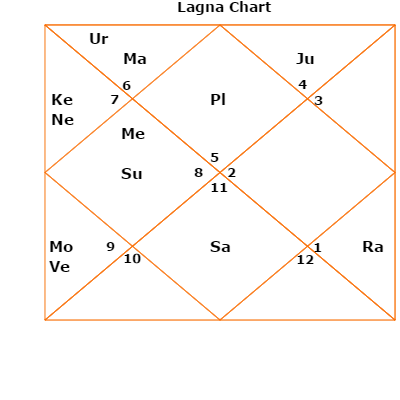 let us look at the basic nakshatras of Sri Rahul Gandhi. sri Rahul Gandhi has a Lagna of Capricorn that is ruled by Saturn which is very weak in the sign of Aries. Also, his Moon Rashi is Scorpio and moon are debilitated, but sitting in the 11th Bhava for a house of friendship. the energy of Gemini sign or mercury is ruling is personality and events of Sri Rahul Gandhi Ji head or the chairperson of the Congress party. Planets that primarily ruled Rahul Gandhi’s events they are a) Saturn, b)mars and c)mercury budha the last. Now let us look at it from the nakshatra point view you with numerology(anka Jyotish) and Nakshatra/constellation. Saturn the Lagna lord is in Shravan Nakshatra ruled by the moon, this is the nakshatra when planetary energies are here Kanvar Yatra to Hardwar and other places in the Ganges happens. This has number 2 same as moon. This number and moon give him a lot of positivity and cooperation in the personality . overall the Shravana Nakshatra in the Lagna or ascendant of Rahul Gandhi builds a lot of sensitivity, Corporation, coordination with colleagues in itself. This suggests a person who is cooperative and sensitive as well. also, nakshatra from the moon is Jyeshta where the moon is Scorpio sign or vrishchika Rashi for Rahul Gandhi in the kundali or horoscope. yes Jyeshta means eldest- yes he is the eldest within the Congress family and his family as well this Nakshatra jyeshtha is ruled by Mercury 5. this gives him good ability to speak communicate it makes a habit restless because mercury is a restless planet. The most important point is that Rahul Gandhi name starts with “Ra” the sound and this is in the 14th Chitra Nakshatra. 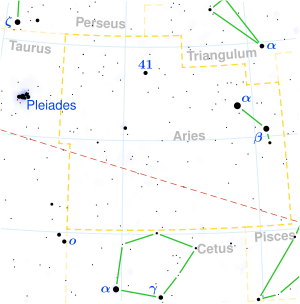 Also, this is ruled by planet Mars or Mangal, which is the planet of action . so overall this gives great action tree and also sadbudhi and communication capability To Rahul. Moons give cooperative ability and 9 March gives him good action. so the major energies for Rahul Gandhi based on nakshatra and numerology are in the Shravana Nakshatra that is moon number(2) if we look 2019 it has mars vibration and also Jupiter vibration. So there is number 9 and 3 X (Shravan or moon(2)). Now the moon is not comfortable with that it can create a lot of anger within Congress party members may defect and also internal conflicts within the Congress party possible. so there is a less chance of getting the desired results in the election of 2019. Now we can see that here of the conflict of Moon and Mars . also the second Nakshatra which is of importance in 2019 for Rahul Gandhi which is ruled by planet Mercury(number 5) or number 5 again is an enemy of Mars of 2019 it is an enemy of Jupiter(number 3) as well. so mercury and Mars conflict create situations where one has to be careful about what he or she speaks . recently BJP has raised concern in the Honourable Supreme Court in regard to Rahul Gandhi speech for ‘chowkidar chor hai’ comment on Narendra Modi ji. the Mars energies are strong so that will increase the conflict of Mercury and Rahul could be facing issues in the month of April. IN may 2019 Rahul Gandhi Ji would be doing better because may have more of Venus energies are comfortable with Venus non-Brahmanic planets. but still they do not ensure great success for Rahul Gandhi or Congress party so this is just a prediction based on his nakshatras and numerology structure prediction. But sure still the number 5 of shravana and Jyestha star works against the benefits of Congress and Rahul Gandhi. he or Rahul Gandhi also need to be careful about what he speaks he should be careful about not getting angry. Plus he also keeps tabs on the Congress party people who may try to defect the party. looking at the “Ra” sound of Rahul Gandhi is ruled by Chitra Nakshatra this in-turn is ruled by planet Mars number 9. This is in harmony with the year 2019 which is ruled by Mars and yes by Jupiter(9+3). so overall he would get 30% to 40% benefit but 70% energies are working against him.